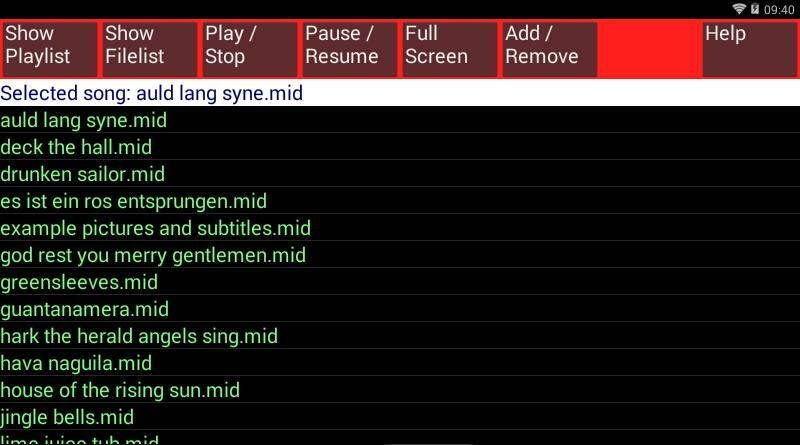 Serenade is Karaoke editor and player for MIDI files. 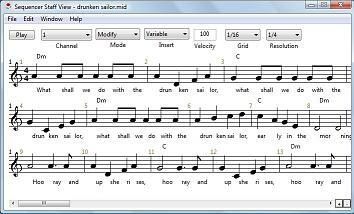 You can can add text to a MIDI file (.mid) and create a karaokefile (.kar). This can be the original text of the song but also a text that you created for a special occasion (wedding, good-bye-party etc.). It comes with a complete sequencer that you can use to cut and paste parts of the MIDI file to match the number of versus you need, transpose the pitch to match your voice, change the tempo etc. Serenade supports Unicode for the charactersets of all languages including Japanese, Chinese and Arabic (with right to left highlighting of the lyrics). There is a Android remote control that you can use to control the player while it is in fullscreen mode (no buttons visible on the big screen) or while you are not near the computer. You can find the JmRemote app in the Google Play Store. 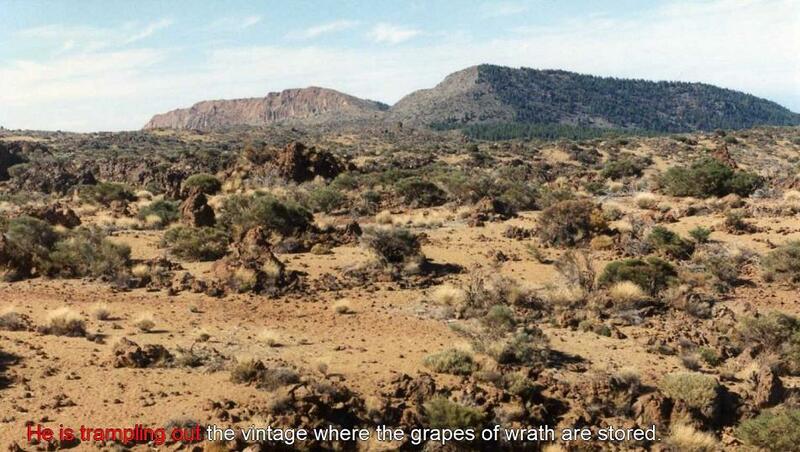 The text is edited in a normal text format, you can copy and paste it from any webpage or wordprocessor. 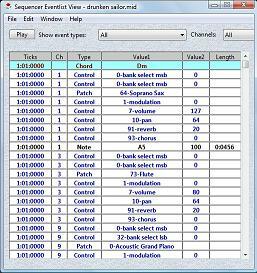 The words are inserted by pressing any key while the midifile is playing. 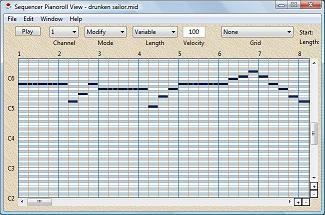 The resulting karaoke file can be played in Serenade or in any other midi karaoke player (e.g. VanBasco or a Yamaha Tyros keyboard). 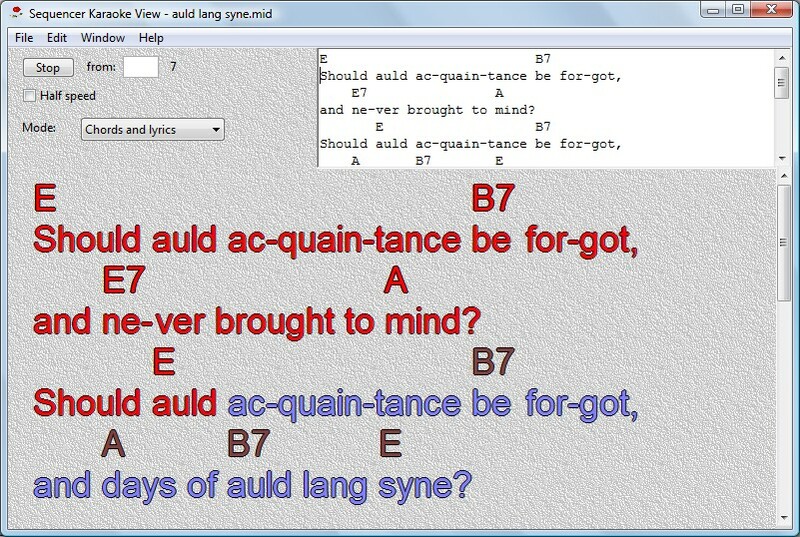 You can also include chords by placing them on separate lines above the lyrics. The chords and lyrics are visible both in Serenade and Yamaha keyboards that can display chords like the Tyros. With the demo version you can't save edited MIDI files but you can use it as a full featured free Karaoke player for as long as you like and even distribute it with the Karaoke files that you made. The full version of Serenade costs $14.95 and is available for Windows, OSX and Linux. In the upper right corner of the screen is the area where you edit or paste the text for the song.Then put the cursor before the first word of the text and press the play button. When the music reaches the point where the first syllable has to be sung, then press any key. The first syllable will be highlighted. Press the Ctrl key again for each syllable to be sung. When you're finished press the play button again to stop the music. 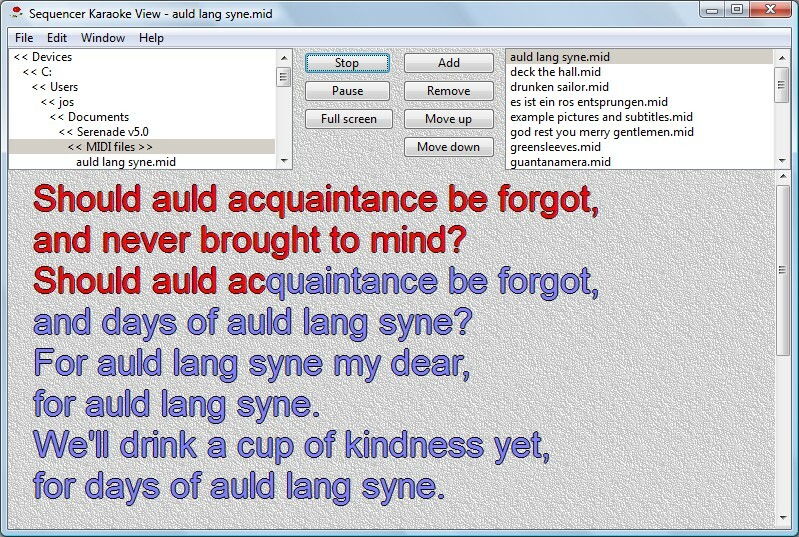 The lyrics will now become visible in the large display. The hyphen (-) between the syllables in the words are not visible in the large display but each syllable will highlight separately when you play the song. It is also possible to insert a line at a time instead of words: select insert mode lines. Use the half speed option for more accurate timing while inserting lyrics. Fonts for lyrics and chords can be selected in the Preferences menu. Besides lyrics you can also add chords, separately or in combination with lyrics. In Chords and lyrics mode, the words are inserted one at a time with any keyboard key. But at the same time any chord typed on the line above the words, will be inserted too. The chords are XF compatible and will show on the display of Yamaha keyboards like the Tyros. While playing the words will highlight at the time they are to be sung. In the playlist window you can compose a list of songs. Playlists can be saved and loaded. A time delay between the songs can be specified in the settings menu. Specify pictures with markers in the MIDI file and create a slideshow with subtitles in fullscreen. While the player is in fullscreen mode you can control it with the Android JmRemote app. 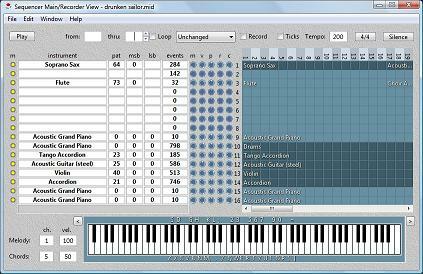 Serenade comes with a comprehensive sequencer for any imaginable modification of MIDI files.